Photographer Dewey Keithly was born and raised in San Diego, California where he learned to love photography at a young age. It started with getting a camera from his Dad, photography courses, and developing (no pun intended) his documentary-style of photography. Documentary work has taken him to Nicaragua, Mexico, Hawaii, The Phillipines, New York, Las Vegas, many of the Southern states, and his hometown, San Diego. These days, he’s the photo director at Silencer Co out in Salt Lake City; a company that makes suppressors for firearms. 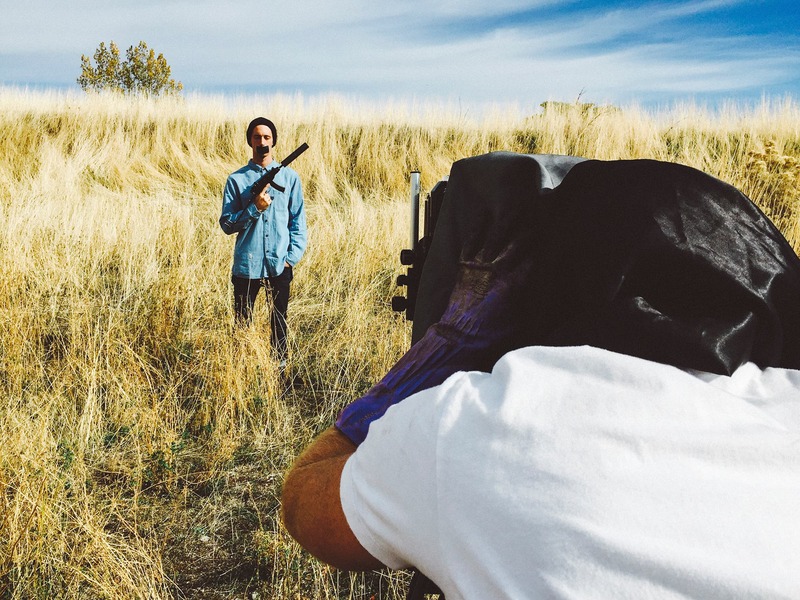 I found his work on Behance, and most recently found his project called #fightthenoise. “t relates to the regulation of suppressors by the ATF by showing these people as The Suppressed.” he tells us. The project was shot with Tin Types and has lots of symbolism behind the series. Dewey: I got into photography from my dad. He gave me a 35mm camera when I was about 12. I was into making pictures of my friends skateboarding, surfing, and just being kids. I took a few photo classes in high school and had a darkroom in my parent’s basement. I then realized this is what I want to do for my life. After high school I decided to study photography in college. It seems simple, but maybe there’s more to it. Maybe not. haha. 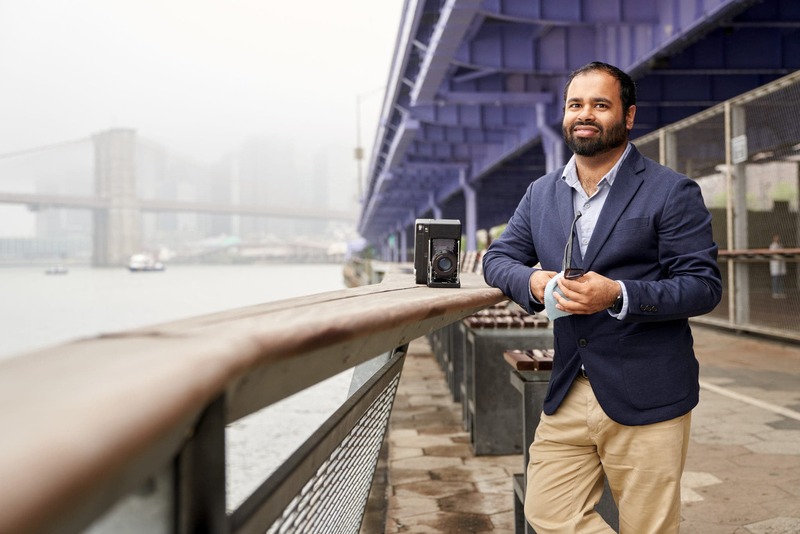 Phoblographer: What made you want to get into portraiture and doing tintypes? Dewey: I enjoy making pictures of people. It takes courage to walk up to someone and ask to take their picture. As I mentioned about going to school for photography, I learned there to work with people on a personal level while making pictures of them. While in school I took an Alternative Processes class where I learned about wet plates and transfers. That was my first exposure to tintypes. 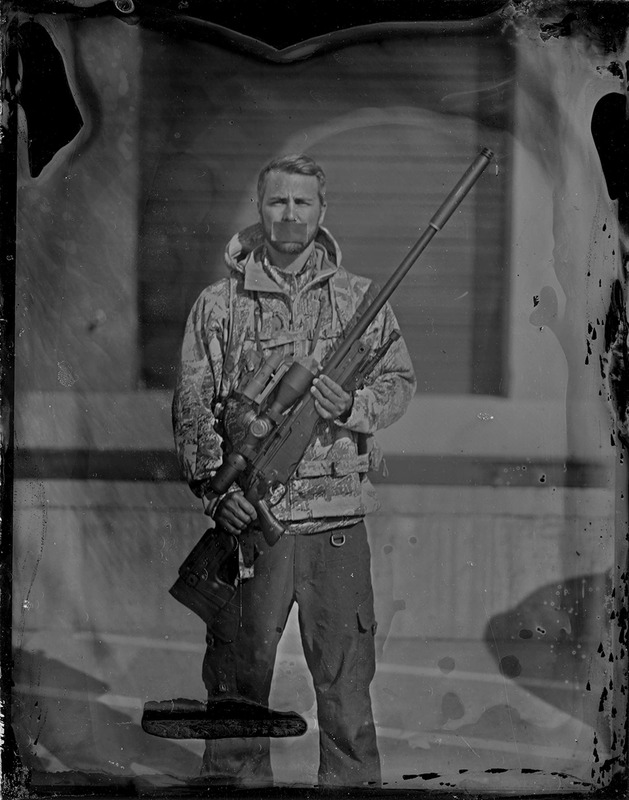 The main reason I wanted to do tintypes was because of the work I do at SilencerCo. I had an assignment to make some portraits, but I wanted them to be raw and original. I love shooting medium and large format film, but I had done that already on a similar project. I wanted these images to stand out a little more. 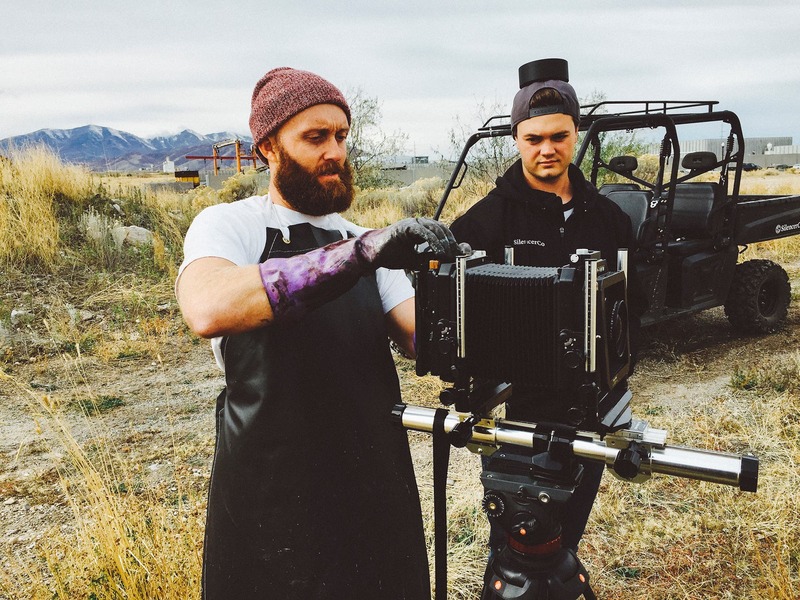 Phoblographer: What do you personally love about the analogue and tintype process? Dewey: What I personally love about the analogue and tintype processes, is how it slows down my work and thought process of making pictures. With both film and tintypes you are so invested in time, so the images are more thought out. After I set up the shot and look through the glass, I have more time to think about whether or not to push the shutter release. Making tintypes is both exciting and nerve-racking. There are so many variables that need to go right. The chemistry needs to be prepared correctly, the silver needs to be in a light tight box with no leaks, the plates need to be very clean so the silver doesn’t get contaminated, the darkroom needs to be light sensitive with correct red lights, even the temperature can change the whole process. After getting down all these variables, tintypes are actually quite simple. If you’ve spent any time in the darkroom, there are many similarities to the tintype process; tin types are unique in that the result of each one can never be replicated.The way the chemicals stay on the plate, the textures, the deformities in the images–these will never be replicated. Tintypes have a look that cannot be made in Photoshop simply because of the camera and lens being used and the depth of field they allow. Phoblographer: So talk to us about this series of portraits. Why were they created? Who are these men and why are the guns and setting so important to the series? Dewey: These images were made for SilencerCo’s booth for SHOT Show in Las Vegas, and for all the new print collateral (our designers killed it on that btw.) The images coincide with the #fightthenoise campaign we have ran for the past year. 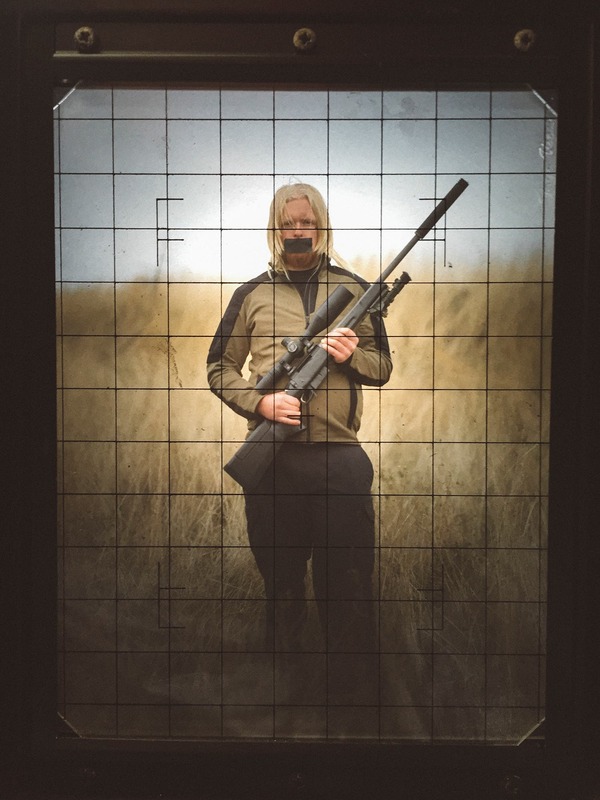 SilencerCo makes suppressors for guns, and helps make the experience of shooting guns to be more safe and enjoyable. The people in these images are everyday people. We wanted to show that anyone can own a suppressor, and it’s not just for military or law enforcement. We wanted to make images of the everyday man, woman, and child holding our products. Phoblographer: Each of the men has tape over their mouths. Why? What’s the symbolism in regards to this creative decision? Dewey: The tape over the mouth is part of the #fightthenoise campaign I just mentioned. It relates to the regulation of suppressors by the ATF by showing these people as The Suppressed. It also has a symbolic approach…We make #fightthenoise tape and ask people to populate social media with the tape over their mouths. Phoblographer: What was it like creating these images and where did the inspiration for the series come from? Dewey: It was a very fun process making these pictures. My buddy, Tavis Johnson and I built a portable darkroom for the back of my 1993 Toyota Land Cruiser. We made it so we could make tintypes anywhere. It’s a very hands on process. My hands were stained for months from the silver nitrate solution. No matter how hard you scrub, that stuff won’t get off your hands or clothes. As mentioned before, it’s very time consuming. I learned a lot during the whole process. When things didn’t go right, I had to learn which variable went wrong. The talent in the pictures were always on my side though. It was fun to interact with them during the process of making their picture. Because of how time consuming it was, they were always so interested to see how their picture turned out. If they wanted to, I would let them come into the darkroom and watch the development process. It’s always cool to see the positive show up during the fix process, and I know they enjoyed it too. The inspiration for these images came from a lot of talented people’s work in the Marketing Department at SilencerCo. We knew we wanted to photograph everyday people of all walks of life. While studying photography, I was really drawn to Richard Avedon’s “In the American West”. He photographed different types of men and women on a white backdrop on location during his travels in the late 70’s and early 80’s. So his work was very influential to this project. Last year I made some portraits of everyday people for the #fightthenoise campaign. Same style as Avedon’s – dead pan, 3/4 of the subjects body, looking directly into the camera lens. This year we are continuing the campaign, but I wanted the images to be more raw, tangible, imperfect, and dirty. 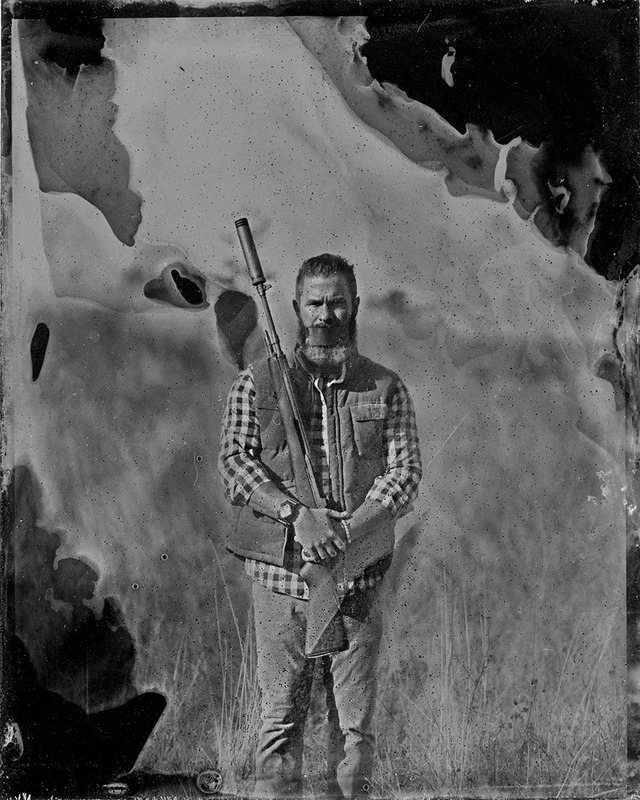 The tintype was a perfect way to do this. We scanned the actual tintypes, changed them to grayscale to work with our booth and collateral, and printed them on 40×50 inch sheets of aluminum metal. The details and textures were amazing to see at such a large scale.